Alert the Bear: California Boom! All things from the Golden State. California, L.A. County populations will go boom: "Los Angeles County's racial makeup is expected to change dramatically by 2050, with Latino and Asian populations doubling to account for more than 80 percent of residents as the number of whites and blacks shrinks in half. The county's population will grow from its 2000 mark of 9.6 million to 13 million in 2050, with Latinos growing to 8.4 million, or 65 percent of the total, according to state population projections issued Monday." 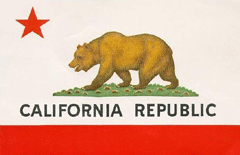 Alert the Bear is a blog about all things California: news, travel, insight, and information. If you have questions or comments, email us at: thebear AT alertthebear.com. Life is Short. Art is Forever.